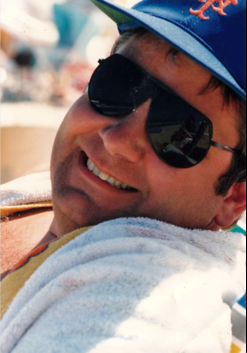 On Thursday, January 24, 2019 William Joseph Salmond, beloved husband, father and pop pop passed away at the age of 69 surrounded by his family at his home in Westfield. William was born April 2, 1949 in Jersey City, NJ to Joseph and Katherine Salmond and was raised in Paramus, NJ. He graduated from Bergen Catholic in 1967 and from Villanova University in 1971. He received his law degree from Seton Hall University in 1974. He will be remembered among his family and friends for his extraordinary intellect and zeal to debate, his wry sense of humor and his fierce devotion to his wife, daughters and grandchildren. William leaves his wife of 46 years, Susan Salmond, and his daughters Lisa, Kristen and Erin. He had 6 adoring grandchildren, Leasha, Gianna, Madeleine, Gwen, Owen and Sophie. He was predeceased by his parents Joseph and Katherine Salmond. Visitation will be on Sunday, January 27, 2019 from 2 to 6 PM at Higgins and Bonner Echo Lake Funeral Home, 592 Springfield Ave., Westfield. A mass will be celebrated on Monday, January 28, 2019 at 10:00AM at St Helen’s Church in Westfield. In lieu of flowers, please consider donating to the Epilepsy foundation.